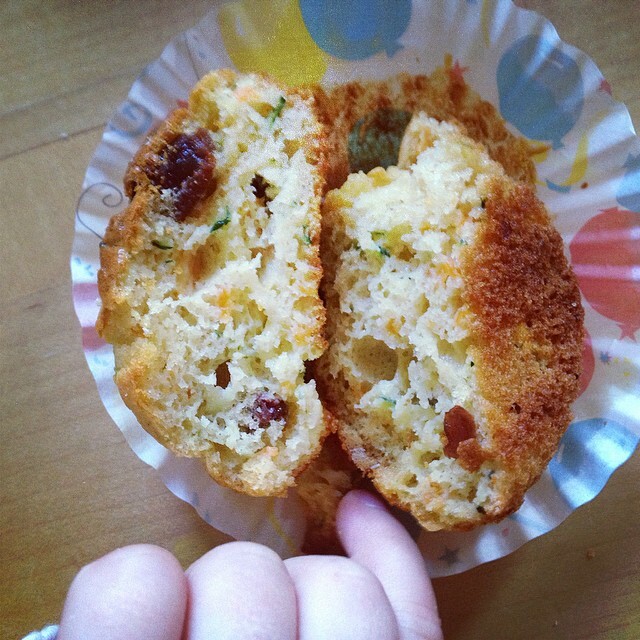 Carrot and courgette muffin shot, with toddler interference. I’m always on the lookout for things that I can make to put in the kids’ lunchboxes that go to their minder, or for school on “treat” Fridays. 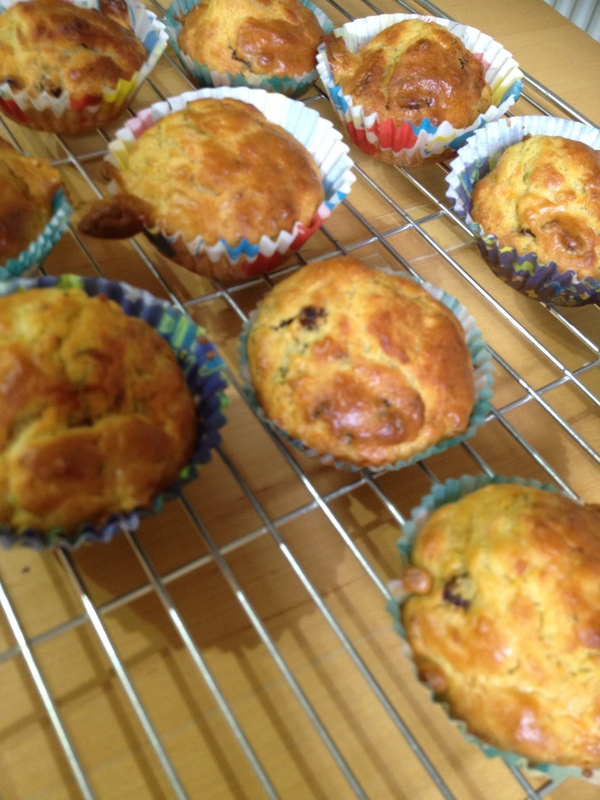 These carrot and courgette muffins have gone down great here, and are a good one to get the kids to help out making, in fact apart from the weighing, my just-turned-four-year-old made these by himself while I was batchcooking this at the same time. We made our first batch of these muffins at the weekend and then my friend asked if we could make them with honey instead of sugar so we had to (what?) make them again to check. The recipe is from the kids’ cookery TV series “I Can Cook”, we have the cookbook that accompanies the series and the boys love going through it and tagging the pages with things that they want to try. There are a LOT of pages tagged, and very, very few untagged. The original recipe made 9 mini-muffins, which in my opinion is a waste of effort. We doubled the recipe and made 12 fairy cake sized ones. 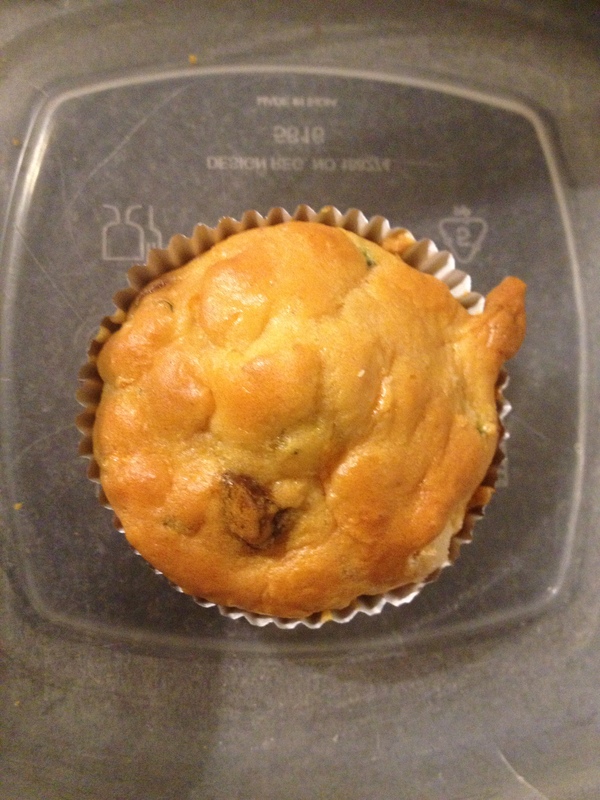 I can’t say how long they last as I’ve 3 children and there were only 12 muffins so they didn’t linger. They’re a bun type texture, very low in refined sugar and fat too, so a healthier treat. I think they’d freeze well but I haven’t tested it yet. Grate the carrot and courgette. Whisk the egg lightly in a bowl then add the oil, milk, grated carrot, grated courgette, honey (if using, not sugar, see below) and raisins and mix well. In a separate bowl place the flour, baking powder and sugar (if using). 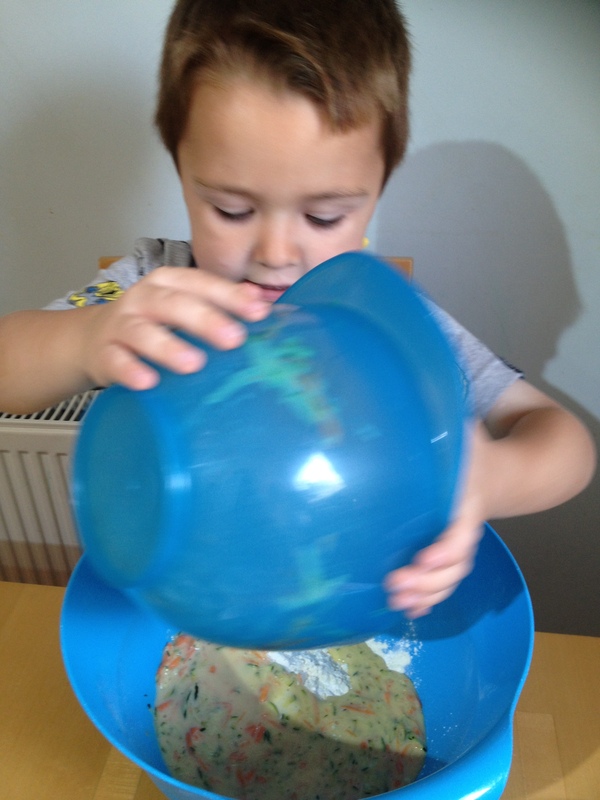 Then add the wet ingredients mix to the dry and stir well. Then spoon the mixture evenly between the cake cases and put in the oven to bake until they are a lovely golden brown colour all over- about 15-18 minutes. Remove from the oven and cool on a wire tray. Try to distract the children until they’re cool enough to eat. 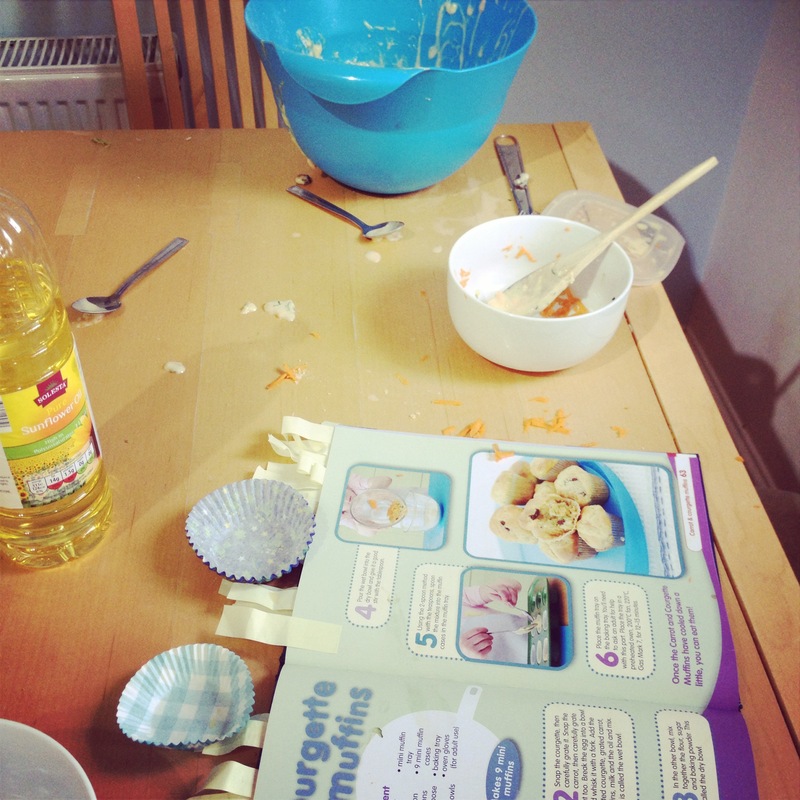 Baking, cake, carrot, cooking with kids, courgette, healthy, lunchbox, muffins, recipes, snacks. Bookmark. These sound divine, definitely trying them! Love the picture of the book with ALL the tags! We have a lot of cooking and baking to do!